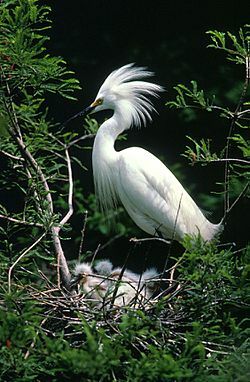 The herons are medium- to large-sized birds with long legs and necks. They exhibit very little sexual dimorphism in size. 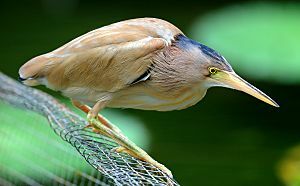 The smallest species is usually considered the little bittern, which can measure under 30 cm (12 in) in length, although all the species in the Ixobrychus genus are small and many broadly overlap in size. 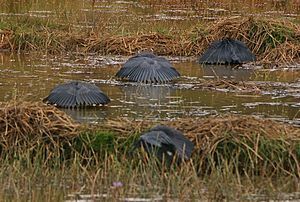 The largest species of heron is the goliath heron, which stands up to 152 cm (60 in) tall. The necks are able to kink in an S-shape, due to the modified shape of the cervical vertebrae, of which they have 20–21. The neck is able to retract and extend, and is retracted during flight, unlike most other long-necked birds. 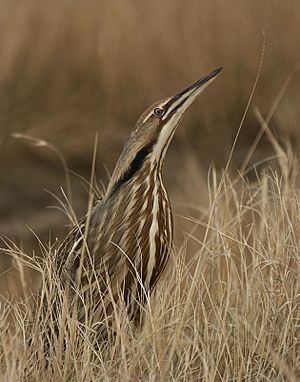 The neck is longer in the day herons than the night herons and bitterns. 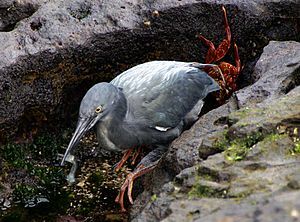 The legs are long and strong and in almost every species are unfeathered from the lower part of the tibia (the exception is the zigzag heron). In flight, the legs and feet are held backward. 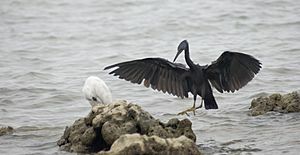 The feet of herons have long, thin toes, with three forward-pointing ones and one pointing backward. 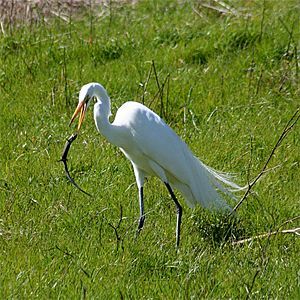 Heron Facts for Kids. Kiddle Encyclopedia.